Building a Prospect List: Where's The Money? Building a Prospect List: Where’s The Money? Every business needs new customers, but finding them isn’t easy. After all, most customers that would be interested in your services won’t come knocking your door down with their money in hand. That’s where a prospect list comes in handy. At its simplest, a prospect list is a group of contacts you should call to pitch, though you can also use it for direct mailings, email campaigns (provided you have captured email addresses and permission) and promotions. So how do you build a prospect list that will turn your hard work into profits? 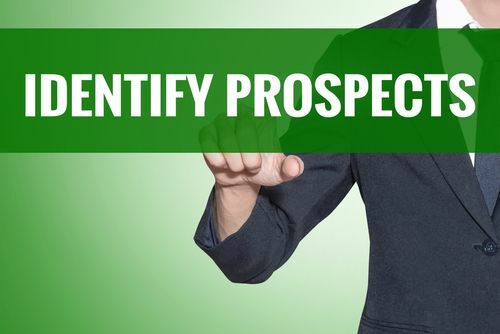 Keep reading to learn more about creating a prospect list that will put paper money in your pocket. There are two ways to build a prospect list today. You can add people you’ve met in person out in the world, or you can purchase a list. When you choose to purchase a list, start by narrowing the population down by geography. What counties or zip codes make up your service area? Some systems (such as Continuity’s) will even let you plug in a target address and distance for radius marketing around an address, or let you plot your area on a map. After you’ve defined your geography, consider further narrowing the population to demographics that match your best customer, such as age, gender, homeowner/renter, home market value, occupation, income, etc. When you’re trying to determine how to build a prospect list, it can be quite tricky to know who to contact first. After all, everybody is a potential customer, at least in certain business sectors. Who is most likely to buy from you though? One of the most obvious answers to the question of who can buy from you is so simple that many business owners overlook it. Which contacts have enough money to really spend with you? Target people with high incomes or high-profile jobs for your product or service. You’ll never grow if you don’t get some clients who can really spend money on your products or services. Undervalued contacts are those that aren’t in your ideal demographic but come close. Other companies in your field may not be targeting them as their first or second priority, and there could be a lot less competition for their business. Add enough of these undervalued contacts and customers to your roster and you’ll see profits over time.